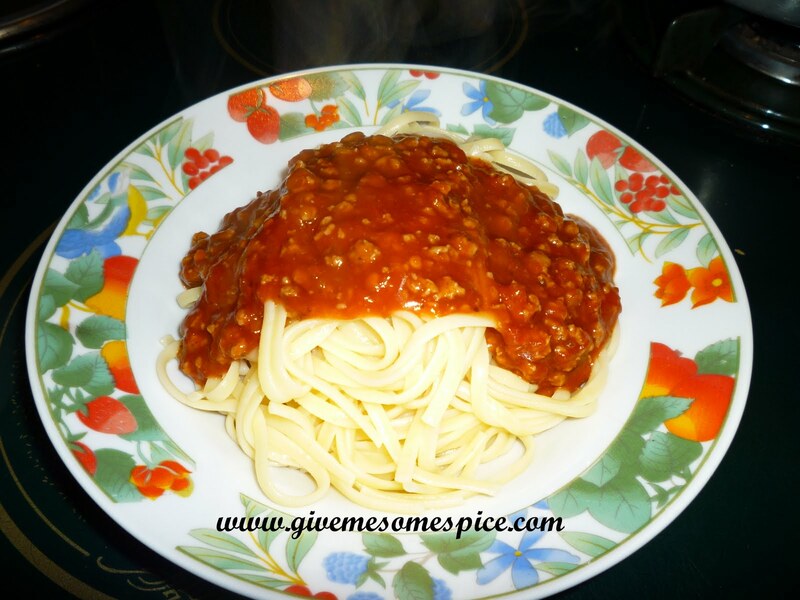 Quorn Mince: Quorn Spaghetti Bolognese | Authentic Vegetarian Recipes | Traditional Indian Food | Step-by-Step Recipes | Give Me Some Spice! Let me first tell you a bit about Quorn as I am not sure how popular it is out of the UK. Quorn’ is the brand name for a range of meat-free ingredients and meals available in all UK supermarkets. Quorn is versatile and quick to cook. The mycoprotein used to produce Quorn is extracted from a fungus, Fusarium venenatum, which is grown in large fermentation vats. All my Quorn recipes have been posted especially for my sons and all young students who love Quorn and are looking for quick recipe ideas. 2. Add the garlic, salt, pepper and cumin/coriander powder. 3. Add the Quorn mince. You can add mixed vegetables to this as well if you wish to..
4. Add half a cup of water to the mixture and allow it to simmer for 20 -25 minutes. 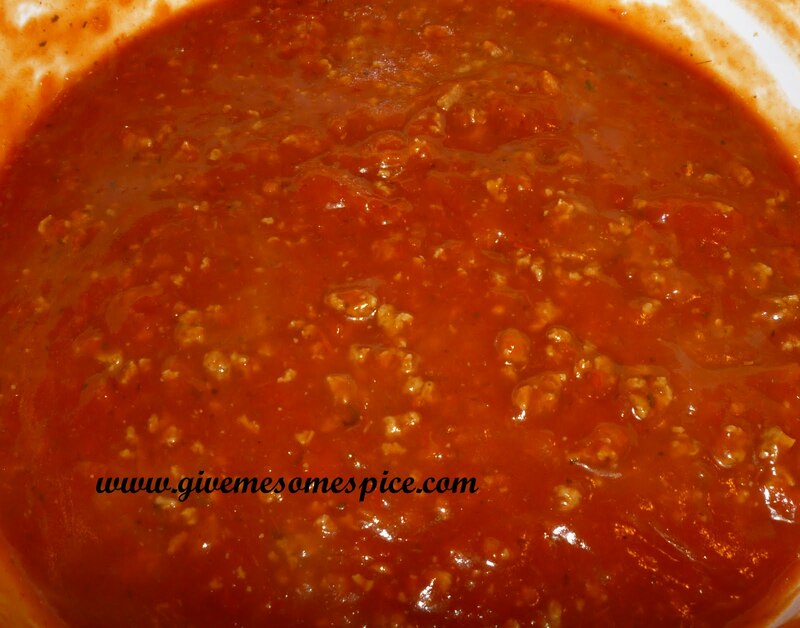 This enables the mince to absorb all the flavours. 5. In the meantime, heat some hot water ready to cook the fettuccine or spaghetti as per the instruction on the packet. 6. Serve the fettuccine hot topped with the Quorn Mince: Quorn Spaghetti Bolognese and cheese.